A must-have volume for any occultist's library. 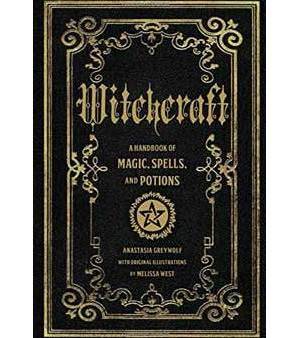 Tap into the magic all around you with Witchcraft, an illustrated guide to ancient potions, spells, chants, rituals, and incantations from around the world. Learn how to form a spirit circle with coven members, what instruments you need for your craft, special conjurations for each day of the week, and hundreds of crafty spells and potions.